We all know you can craft a sentence or a paragraph like nobody else. 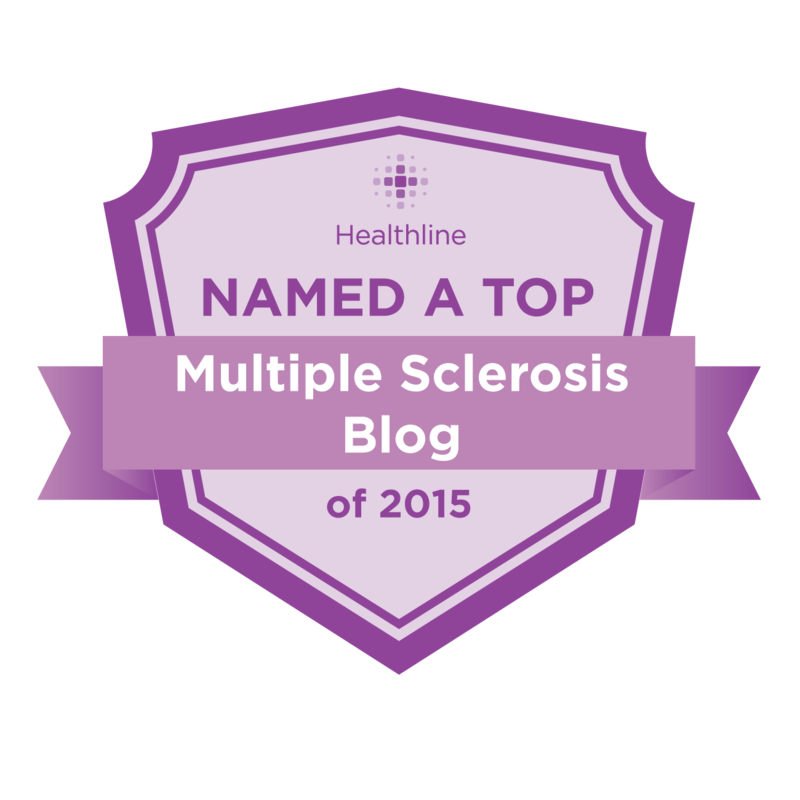 But perhaps the most important service that you provide for the MS community is your ability to take vague ideas that have been bouncing around in all of our heads and summarize them for us into a powerful and thoughtful essay. Thanks for the praise, Mitch. 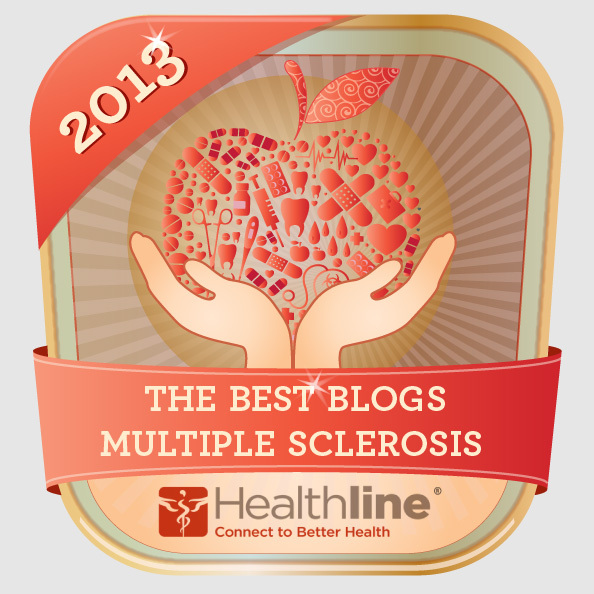 Coming from a friend and fellow MS blogger, it means a lot. If I had to guess, I'd say Annette's EDSS score must be somewhere around 9.8. I literally gasped when they first showed her condition in the video. I did watch the CTV program of Annette Funicello, and it was like being hit with a stun gun repeatedly. A very insightful and honest post once again Marc. Thank you. The stun gun metaphor works nicely, as her condition is truly shocking. I was worried that this post might be a little too harsh, and upset too many people. I'm glad most seem to have found it at least somewhat compelling. Getting the truth out is important, although it's not always comfortable. Finally, someone said it. I've been looking and looking for the worst case scenarios (because I prefer to know), and finally, here it is. And written by you - which means it is beautifully crafted bad news. And the comment by Ann Romney - it has been annoying me no end because, as you said, it gives the best case scenario of a disease that rarely has a best case. Thank you. It can be difficult to find examples of worst-case scenarios, because by their very nature they force the afflicted patient into a state of isolation. As for Mrs. Romney, she obviously has a very mild form of the disease, at least thus far. Still, let's not underestimate the psychological toll it takes, even in its most benign form. Remember, too, that Mrs. Romney has also had to deal with breast cancer. I more blame the press, who seem inclined to focus on inspiration rather than desperation. So eloquently presented, Marc; I do like how Sue phrased it, "beautifully crafted bad news." Now if we could get more of the media in the U.S. to be brave enough to tell the story ... who knows what would happen? Marc, you got me thinking about things. I've often wondered about group-funded research, not the bastardized pharmaceutical company type research but research done and supported by patients, advocates and just plain people that want to find a cure or helpful treatments without having to be beholden to stockholders. What if every penny donated to this type of research went to the research itself (and, of course, the salaries of the working scientists). What if we actually had a company thrilled to have a treatment become affordable to the public? Is it possible to create an altruistic entity of this type for this purpose? You also have me thinking about a magazine/blog/anything that does exactly what you did here for all sorts of diseases, throwing the worst case scenario into the public eye. You are completely right that with all the rah-rah cases tossed out there, the realities get smothered and snuffed out and rather than people seeing patients that are suffering as just that, they tend to turn to these patients pointing fingers and saying things like, "well, she has MS and does just fine, you must not eat right, exercise enough, have a positive enough outlook and blah blah blah" and that's that. Rather than being someone that needs real help, those people are looked on as failures of some sort. It would be great to have a publication that points out the really bad side of diseases. publicizing the terrible nature of "invisible" diseases is very important, but I'd imagine it would be hard to get the public to actually stop and look. Most people would simply rather not know, as the knowledge that life can be so quickly turned on its head is very disquieting. There are organizations that put almost all of their funding to genuine independent research, and I think it important to urge friends and family who want to donate to the cause to seek out such entities. The Annette Funicello Foundation is one, as is the Myelin Repair Foundation. Tricia, you are describing the Annette Funicello Research Fund for Neurological Diseases. Every penny goes to research to find the cause and cure for MS. In fact we are about to announce our year-long "penny campaign" on Annette's birthday 10/22, with just that plan! I don't know that I would want to continue in her spot. Should my MS progress to that point, I hope they try every experimental treatment in the long shot hope of recovery. I would rather have the recovery fail quickly with my death than live the life suggested by this MS, especially as MS seems to hit men harder on average. Bravo to her and her husband. Suffice it to say that I'm with you on that one… it's all about quality rather than quantity as far as I'm concerned. 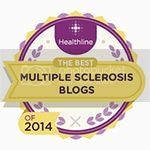 I'm so glad you brought up this topic and I do so agree with you that society needs to see the worst aspects of MS as well as the hopeful examples. I don't think the spouse of a presidential candidate can speak freely, but perhaps we'll hear more from her later. Marc, you have numerous talents and probably not enough time and/or energy for all of them. Much as I love your photography and videos, it's your superior thinking process and ability to sort though things and make sense of them that means the most to me. If you don't always say what I think, you say what I wish I had thought of. As far as I'm concerned, you are the standard bearer for how and why someone with a chronic and creeping illness can remain vital to him/herself and society. Now, before you become impossible for Karen to live with, I'll stop with the applause, but do know that many of us wake up every morning hoping for another WK post. Thanks for the provocotive post, again. I watched the Anette Funicello video, I have to confess that I paused it and shut down the screen when my kids came in the room. My wife has not seen it, and I don't want her to. Not because I am afraid she would leave me, she would do all that Anette's husband did and more. It is the fear of the future we try to keep in check at our house. I agree that we need a true representation for the face of MS. I feel I am holding my own currently, and believe I have had symptom relief due to multiple CCSVI procedures. I don't know how to find the balance of "seizing the day/living in the moment" and "preparing for the worst". Currently I am trying to sieze each day, and Anette's story helps to remind me to do that. I need help on this tight rope. it is indeed a tight rope, life on a knife's edge. It's not only our friends and family we need to worry about, but our own mental well-being. We can't live with our heads in the sand, even if the view up above is downright frightful. I try to use the "dark at the end of the tunnel" as inspiration to live each day as fully as possible. Let's face it, life is a terminal disease, and in 100 years there will be all new people. I find that perspective helps to take some of the edge off. Of course, coming to grips with one's mortality would be much easier if the prospect of an ugly end didn't figure so prominently. There are no easy answers. It is not as well written or as detailed as yours, partly because of the limits I have writting for MS Village Canada. I also often write and talk about the need for independent research that is free of pharmaceutical corporations influence. The research that is being funded by MS Societies is useless because the doctors/researchers have conflicts of interest and/or lack of expertise in conditions being studied. Thank you for opening my eyes to the ugly truth. thanks for posting the link to your essay, I thought it excellent.if I may offer one small bit of criticism, though, the gray font over the orange background is kind of hard to read. Don't know if you have control over that, since you are writing for a larger concern. I agree with you that the MS societies are far too influenced by drug money, but the influence of the pharmaceutical companies has permeated almost every aspect of medicine at this point. Even the highly respected medical journals are not immune, and I now view most published research with a slightly jaundiced eye. Sad commentary, that. Once again, Marc, you have written so well what I have been feeling. I silently scream, "That's right!" or "Exactly!" while reading your essay. Thank you for doing what you do, despite the ravages of this horror called MS (or whatever particular flavor of it you actually have!) I truly appreciate it. The full horror of seeing the horrendous reality of MS has been hidden for far too long as was the Holocaust. When something horrific and disturbing suddenly is exposed for all to see, changes generally happen quickly. People must be aware of the extreme ugliness of how MS can destroy people's bodies and people's lives. Then and only then, will MS become a priority that is not FUBAR! Thank you for your insightful and heartfelt message about the real ravages of MS. The reason Annette Funicello started her Research Fund in 1993 is because she wanted nearly all dollars collected (only 5% or less goes to program expenses and ALL staff are volunteers)are directly used to fund research grants and clinical trials. Additionally, we are currently pursuing non-pharmaceutical pathways, such as CCSVI, that are very promising in helping to alleviate symptoms of MS for many afflicted people. We are working hard to find a real cure, not only for Annette herself, but for all of those who suffer from MS and so many other horrible neurological diseases. Glen, Annette's husband, made a very difficult decision to agree to doing the CTV story (which we feel was very sensitively and respectfully handled) because Annette's greatest wish was to help others and he felt bringing her forward at this time was the right thing to do. For anyone who wishes to donate to The Annette Funicello Research Fund for Neurological Diseases, please know that your money is being well spent directly on research, not to fund administrative costs to our organization. You can donate at www.annetteconnection.com. Thank you so much. you're welcome, and I hope you never, ever get back to EDSS 9. I am one of the 10% afflicted with ppms. 10 years now since dxed. i am bedridden, with no use of my legs and very limeted use of my arms. i have no control of my cecretions and have to be held up to a seated position. i dreadfuly watched the video of annette. even though frightening as it appeared, i realized the necessity to prepare myself and my family for what the reality of this awfull desease may bring. i am 15 years younger than annette but dxed at the same age as she was. this was a tremendous awakening for me and i am thankfull for the awareness and headsup opportunity to plan for such a possible future. Murphy, know that Glen, her husband, made the decision to allow this piece to be made in hopes of helping give people like you (and me) a brighter future. He and I both agree that people who are sliding fast should consider CCSVI as part of compassionate care. Her jugular veins were really messed up and he is grateful for the gains she got from opening them up. While Marc will be the first to tell you it does not hold the silver bullet. Some cases are straightforward like hers and Glen sure wishes they had done it sooner. Simply thanks; every word was true. a very perceptive comment, as one's view of the disease does change with time and the progression of their disability. 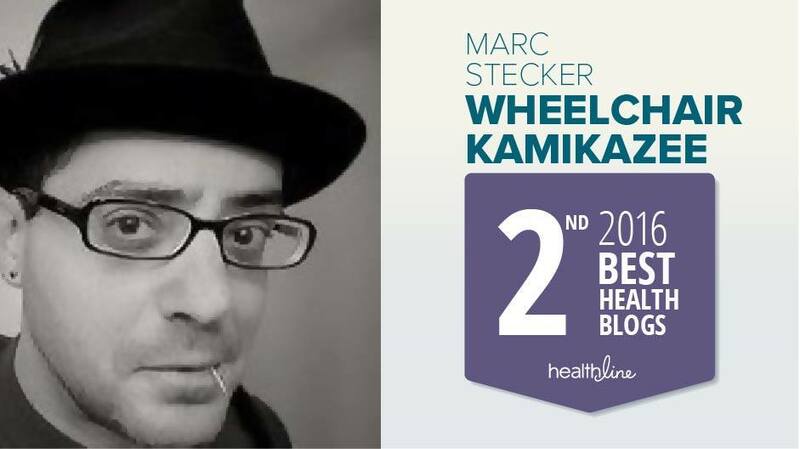 I too remember when I was first diagnosed and couldn't imagine that I'd ever be one of those wheelchair people that I saw in the neurologist's waiting room. I guess it's our capacity for denial that helps keeps us sane. 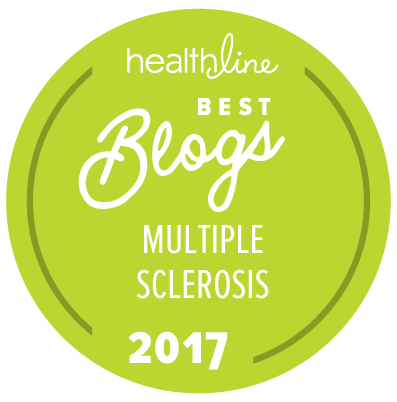 it is vital that scientists research alternative hypotheses regarding multiple sclerosis and all so-called autoimmune diseases. I've come to understand that the word "autoimmune" actually translates into "we don't know what the hell causes this". Obviously, an immune system gone haywire is a symptom of some hidden underlying cause. 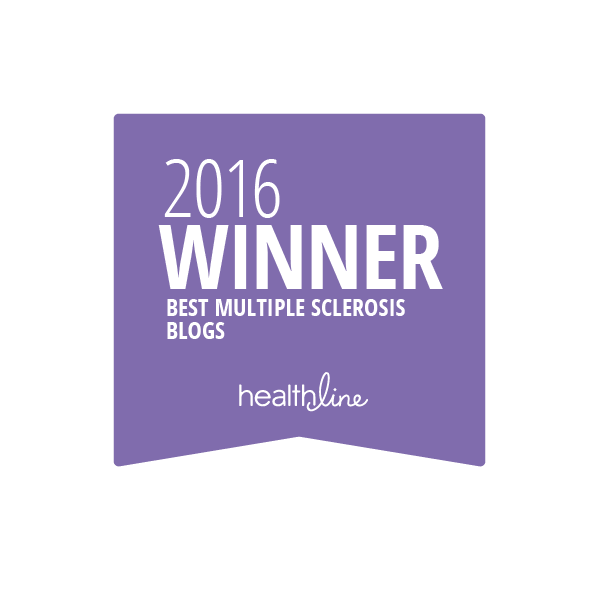 I tend to believe the truth is that what we call MS is probably a collection of similar diseases, each with its own etiology. It may turn out that, in this way, all of the theories are correct to one degree or another. I have found an interesting view, see below, of the MS etiology in the article published in Nature Reviews Neuroscience, impact factor 30+, so the information about serious discrepancies in the nowadays standard autoimune MS model gets more and more to the wider audience. Its good to read the whole article not just the abstract. Anyway, I enjoy reading your posts, even though not being from an english speaking country, because they make a lot of sense, you use logical conclusions and don't afraid to tell the whole truth. As being a physicist, I appreciate all of that very much. Thanks for the link. I have read the full paper, and it makes a compelling argument for re-examining current assumptions about MS. Or, I should say, makes another compelling argument for re-examining current assumptions about MS, since many of the current assumptions do seem to be flawed, at best. Yes, but its on a good way towards a solution. Not the kind we would prefer most, which obviously would be the cure for MS, but a different one and that is the collapse of the current way MS is treated (expensive shots that have miniscule impact on the disease). As the new MS drugs are more and more expensive and there are more and more articles about the flaws of the autoimune theory the drugs are based on, the system has to break at some point. Because nobody, even the patients themselves, will be willing to buy them at all and rather let their MS take its toll on them naturally. That will be the end of the current system in my opinion, in a capitalistic way. Capitalism may be good even in the medicine. The problem why it is not currently, is that it can work well only under the prerequisite that all consumers are well and equally informed, which is not the case at the moment (or maybe it never was). However, it will probably take some time and the change won't happen even for the currently newely diagnosed but it might for their children. One way or another, even the current patients have to keep telling all the truth about MS and how it is currently treated, which is what you do, Mark, and for that you deserve mine gratitude as well. To me as a physician the most tragic aspect of MS is the irrational way in which the condition is understood and dealt with. How few people know the extent to which speculation has here overgrown what is seen, and how small the role concrete evidence plays in the ways in which MS is dealt with. We are all very appreciative of your tireless efforts to change this situation for the better. I know that your clinical experience focused on the most severely debilitated pwMS. For that as well, I will be eternally grateful. Doctor Schelling, a real honor to have you comment on my site. Thank you for your groundbreaking work and tireless efforts to advance our understanding of MS. I'm in complete agreement that the current "autoimmune" model leaves much to be desired, and new approaches to understanding the disease are desperately needed. For those unfamiliar with Doctor Schelling's work, he was a pioneer in investigating the vascular aspects of MS, predating Doctor Zamboni's work by a number of decades. He is a true medical visionary whose work has for a long time gone very underappreciated. My friend and brother in spirit, you are blessed with a gift to articulate that I am so grateful for. I pray that the cog fog part of this plague stays away from you and you can continue to voice what we all know all well to be true. Love to read your blog WK! I watched the Annette Funnicello video and was scared #$^!less. Who wants to see what the future may hold for us. It prompted me to keep moving. So I go to the YMCA for exercise six days a week now. I have SPMS and use a wheelchair but I can still get in and out of it with assistance. Since starting the exercise regime, my PT finds signs of improvement in strength. Any improvement for me is so welcomed. No meds for me. Tried them with no help. Had CCSVI with a little bit of help, nothing miraculous. I say #$%^ the pharmaceutical companies and any one who prays on the diseased. We all want to find a cure for a better life. Live better while we can and take care. If you are in doubt as to which wheelchair will work best for you then here is a comprehensive guide to help you out. You can also browse through our forums where you can ask about any queries you may have on wheelchairs and associated products. Hello, I am 23 and newly diagnosed, my MS is taking hold very quickly. I no longer feel 23. Thank you for writing this post, it was great. You, as usual, are masterful. I cannot watch the video. hey Marc--I know you're Facebook phobic, but wanted you to know your essay linked on the CCSVI in MS page has gotten hundreds of hits, likes and links. You have written the ugly truth must beautifully, and are to be commended for this. CCSVI Alliance appreciates your support, ideas and insight. None of us are giving up. Thanks. Deeply appreciative of this essay, once again. Your mastery brings light and hope where there is darkness and despair. It was an honor to have participated in the interview, but I have to admit I was anxious about how it would be received. Your response fills my heart. I know you want people to see the ugliest part of this disease and the W5 Annette Funicello piece showed it so well. Her husband is amazing. We need more caregivers of those most afflicted to share their stories too. Most of us are not in it alone. It just seems like nothing with MS has ever really been "figured out." We still aren't sure if it's autoimmune, or if it is what triggers it, after all these years of research. But that is not what's portrayed to the public, and to listen to many we're living at a great time in history to have MS...well it doesn't feel too "great" to me! I won't watch the Annette video, not out of any fear but I have well comtemplated my own fate. A long but relatively mild course, has nonetheless added up for me. I know where this is headed and I have no expectation of a treatment that changes anything. So I tend to focus my limited energies on the dimishing menu of activities I can do, and the relationships I have. I have my dark moments, of course, its hard sometimes not to get really pissed off. Thanks so much for posting this Marc. We need the whole truth and not just the sanitized version. It's also hard to watch Ronnie Lane succumb to MS. The Traveling Show follows it in sad, gruesome detail. Wow. As someone who was just diagnosed (8 days ago), this is just the begging of my reality, and it scares the tar out of me reading this stuff, but I thank you for putting it all out there. So many things I have read are fluffy, yet I know what my body is feeling, and I assure you, it's not fluffy. As a 34 yr old mom of four kids 7 and under, I would rather know all the possibilities of this awful, unpredictable disease and be prepared. Thank you. Firstly, as a 32 yr old Mum of 2 and reading this article I now am crying which I never do In front of them. I am typing each word and breaking about every 5 words as my arm is apparently lazy as I am someone who loves this random arm that I sure don't own..... Yet it looks normal so I'm clearly just lazy lol. I remain for now more reserved on the diversity and really frightening happenings that only I can feel. The noticeable MS in blunt expression is when I can't swallow, start choking then fit. I remain my hospitals most worrisome visitor to the point I was even given a Willow Award. Having British identity makes treatment free. NOOOOOOOO I will not go through all the failures via EVERY 'brilliant' treatment. I will stick to my Savinex as I was part of test trials, so although our stupid institution wants to steal this releaf from me, they can not because of the trials terms and conditions....... Hahahaha. Yes I realize that is only the RRMS group but that is what most people have. I know it can be scary and I know it can be ravaging but it is to be remembered by newer diagnosed people that you are not painting a clear picture either. There are severe cases (closer to 20%) of people and there are mild cases and moderate cases making up 80% of people with MS. So please if your going to paint an accurate picture do not margainilze the people who are doing well as that is the majority of people. Kudos! Thank you very much. 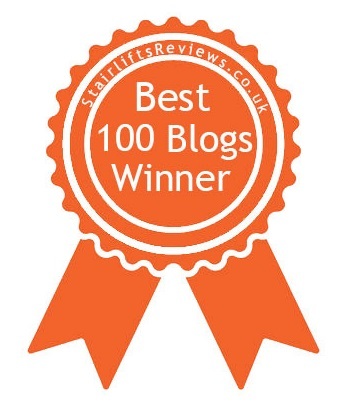 Thank you so much for writing and publishing this blog. You are a remarkable writer. I'm upset too by how MS seems to be portrayed as such a minor disease. Have had RRMS for fourteen years now, at the very least, and was finally properly diagnosed last year. Along the way, I had a fun bout of transverse myelitis that left me with noticeable disability. Not in a wheelchair yet, but suffer from severe exhaustion all the time and easy fatiguability. And too many weird other things to list. People look at me and think, "she's not in a wheelchair; therefore she is fine." They don't realize, there is so much more to MS than the wheelchair. Printed this out to share with the next person who tries to tell me MS is no big deal.